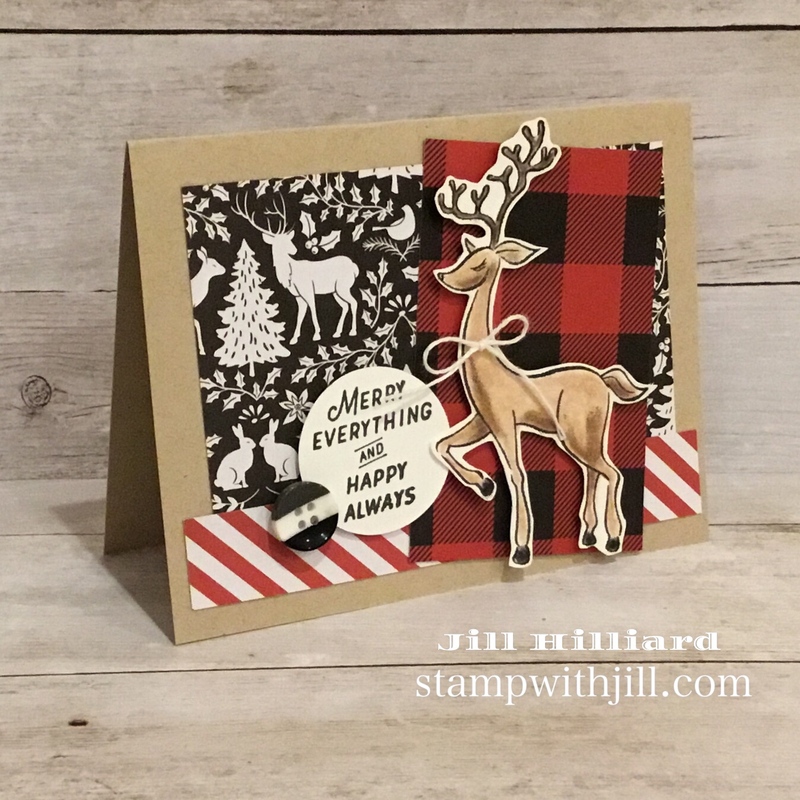 I love this buffalo check reindeer Christmas card that I shared a few weeks ago with the Merry Everything Stamp set from Fun Stampers Journey. 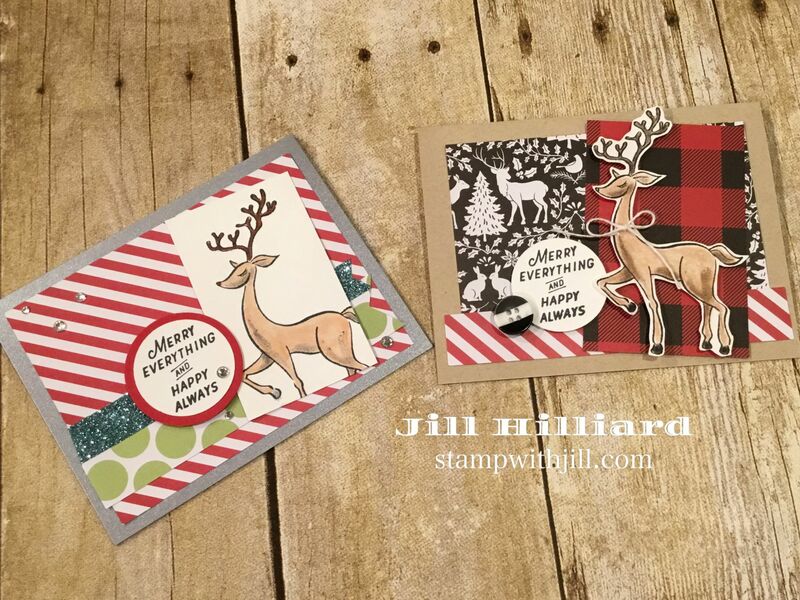 So I decided to re-make it with different designer papers from the Cozy Christmas Prints paper pack. What do you think? There is some added bling with the brushed silver card card stock, the Pool Play Sparkle tape and Cut Rhinestones.